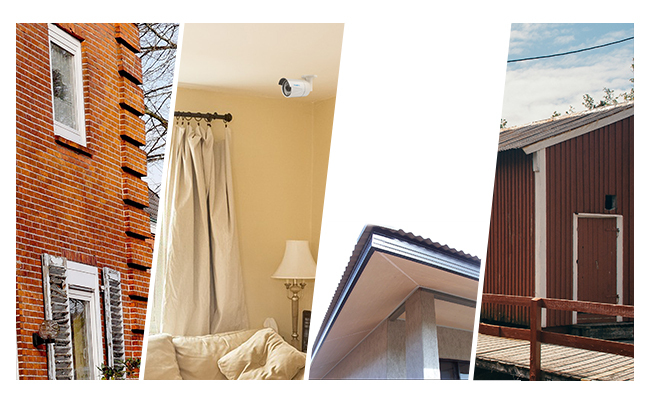 When it comes to outdoor security cameras and systems protection, people often ask these common questions: how do people keep bugs or spider away from security cameras? 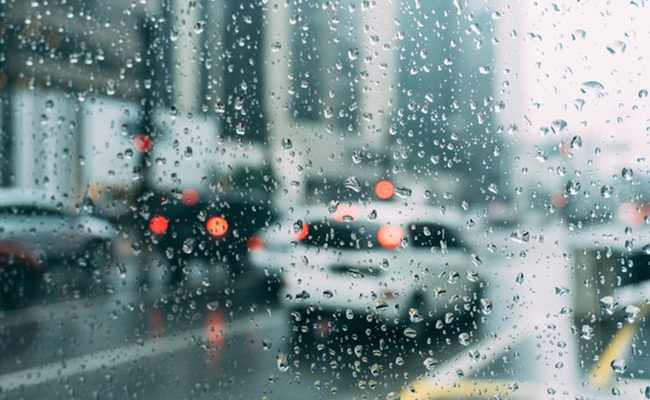 how do people protect CCTV camera from rain or other elements? 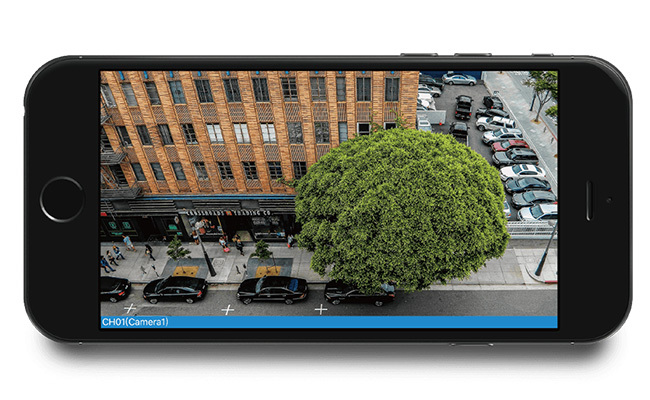 How do users protect outdoor security cameras from theft or damage? How do homeowners prevent outdoor surveillance cameras from fogging up or clouding? How to deal with security camera IR glare? Today we share some easy fixes to these common issues and some great tips to protect your outdoor CCTV cameras, outdoor PoE cameras, or wireless outdoor video security cameras. Outside CCTV or IP video security cameras are vulnerable to vandalism and theft because shrewd thieves or intruders try to cover their tracks by dismantling, blinding, damaging or stealing CCTV surveillance cameras or the NVR/DVR. Or use surveillance camera metal housings/cover like this one, which helps protect the camera and lens, keep the CCTV or IP security camera clean, and prevent security cameras from being stolen. To make outdoor security camera tamper-proof and avoid being blinded by flashlight or laser pointer, you could also use the spray paint like to hide it from sight, like one Reolink user did with his RLC-423 PTZ outdoor camera. 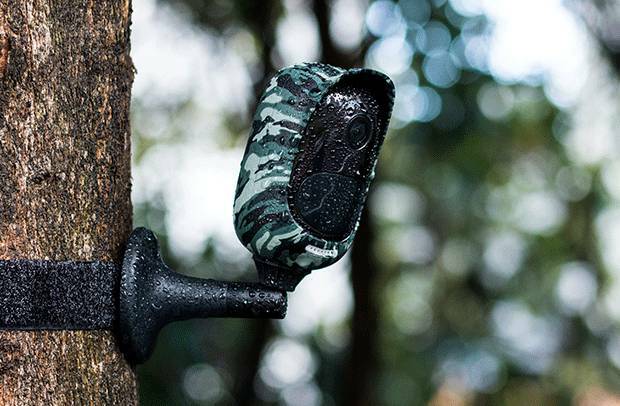 Or using skins or camouflage cover for outdoor security cameras, for example, Reolink Argus 2 outdoor battery-powered security camera camouflage skin suit. 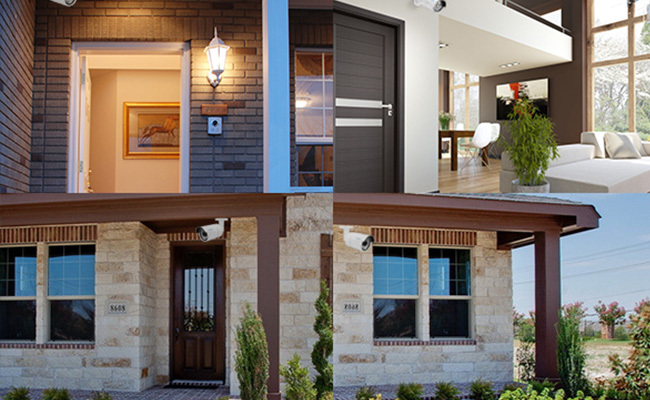 Outdoor security cameras for a home like infrared front door security camera, outdoor CCTV camera with IR night vision in the backyard or driveway sometimes come with an infrared light or floodlight at night, which will attract mosquitoes, moths, bugs or other insects over time. Soon, your outdoor CCTV camera or external security cameras will be covered by spiderweb, dead bugs or insects. And these obnoxious spider web & cobweb will start getting annoying for it not only blocks the external camera’s view but also triggers false alerts, especially for outdoor motion sensor security cameras. To keep bugs away from your outdoor video surveillance camera, use bugs spray or insecticide like Bifen around the housing/cover of the camera might work. Alternatively, users could turn off IR LEDs or get external IR light/lamp like this one. 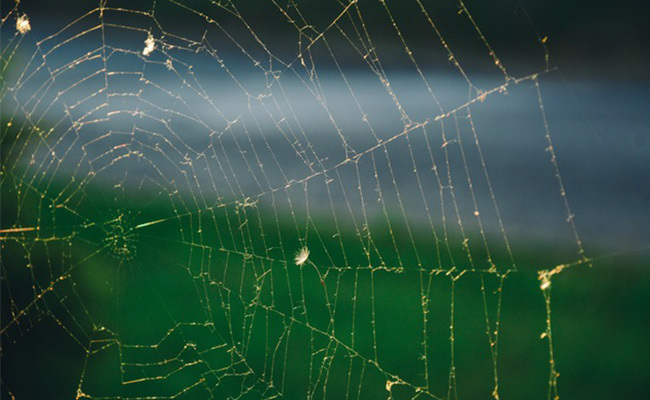 To stop the spider from making a spider web on the external security camera or system, some users do suggest using petroleum jelly on the area surrounding the camera. Meanwhile, some natural insect repellents could also help keep spider from making cobwebs on the exterior camera, for example, citrus, eucalyptus, lavender, peppermint. Spider/insect repellents for the camera, contact sprays, aerosol sprays and web eliminators around the wireless outdoor security cameras but not directly to the lens, for example, Permethrin, will help exterminate bug infestation. Regular cleaning the camera exterior, housing, enclosures, cover, or shield with a soft-bristled brush also help keep the outdoor surveillance camera clean. When you are in areas with very cold winter hitting below zero or hot summer hitting 105f, your video surveillance system or wireless outdoor security cameras could potentially suffer if they are not designed to work in sub-zero cold weather or scorching hot summer. First of all, check outdoor security camera housing IP (ingress protection) rating, which indicates the ability to withstand elements. Many outdoor home security cameras, like Reolink RLC-410 outdoor security camera, normally works in temperature ranging from from 14°F to 131°F (-10˚c -+55˚c) with the humidity level around 10%~90%. In addition, you could also get an additional security camera rain cover or housing/box/enclosure to protect outdoor home security cameras (wireless or wired) from rainwater, snow, dust, heat and other elements. [Updated] Besides, in extremely cold weather, it’s important to check camera enclosure and make sure there is no moisture or condensation inside the enclosure or put a packet of silica gel inside the housing case. Apart from the camera, cables and connectors can be protected from frost or snow, checking and making sure the cables and connectors in a good shape on a regular basis. When an outdoor-mounted security camera is pointing at the reflective surfaces, for example, ponds of water, glass panels or car windows, it will cause lens glare and obstruct viewing. Sometimes, the window could be the culprit of obscurity or whiteout on your image when the camera is placed inside the house. To avoid the snag, place your front door or back door security camera outside your house to achieve better viewing. To prevent reflection of lights and infrared flare, it’s advisable to adjust your outdoor surveillance camera viewing angel or shy away from reflective objects. Here are more great tips about using security cameras through glass or glass window, for example, using anti-glare film for windows, using external IR illuminator, placing it on the window sill. Security video cameras are normally sealed up and air-tight while being assembled, which surely reduces the chance of moisture seeping into the lens. However, some users said their outdoor dome security cameras sometimes start fogging up at night and there is moisture, condensation inside the camera housing. One user said the driveway camera starts fogging up and obscuring the image in the early morning. A fogging problem which occurs in the early morning sometimes will go away itself, so no need to clear the surface. Sometimes, the issue stays for a long time, the solution to internal condensation would be placing a packet of silica gel inside the housing case. Sometimes condensation happens because the outdoor dome camera is not well-sealed. Try cleaning the dome camera inside and out first and press the foam ring firmly against the glass. Regular wiping the outer lens covers with a micro-fiber cloth will protect your external surveillance camera. Think ahead before lightning strike ruins your valuable equipment. 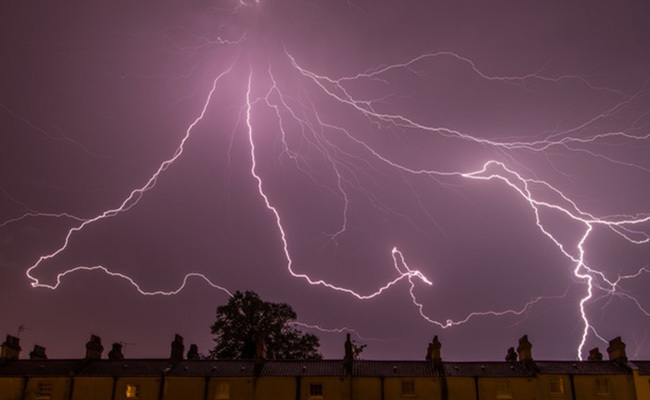 Recently, one customer has shared her experience of her home being struck by lightning with security camera going berserk – video loss, electrical currents horizontal lines running across the screen (hum bars) or complete freeze or shutdown. 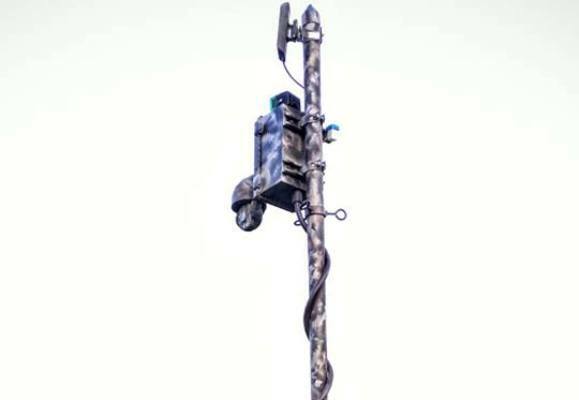 Avoid mounting WiFi outdoor security camera to a metal pole because metal could be highly conductive in times of power spike and use security camera weather shield. Make sure your wired outdoor security system (CCTV or PoE security system) is grounded properly, which can minimize damage by redirecting immerse lightning current into the earth ground rather than discharging them by virtue of frying your security camera. UPS (Uninterruptible Power Supplies) units will ensure power supply for the camera when experiencing a power outage, mitigating concerns for camera power-off. If living in areas where a thunderstorm is a common occurrence, you could learn more about how to protect outdoor security system from lightning. One of the vulnerabilities of network IP camera is the possibility of being hacked by ill-intentioned people either by jamming the wireless outdoor security cameras or decrypting your safety code. The solution to the problem is to boost your network with WPA2 (Wi-Fi Protected Access II) security protocol. Changing your passwords frequently and making your passphrase complicated is vital to secure your outdoor video security system. 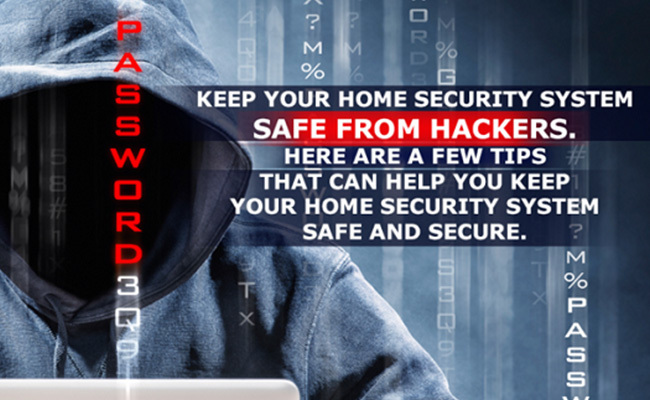 Find out more about how to secure your CCTV or IP security camera from hacking. If your security cameras like the wireless outdoor security camera and outdoor PoE camera constantly or occasionally experience some issues with the videos/images like video loss, no videos, images flickering, rolling lines on the screen, black screen at night, and etc. Check outdoor security camera cables to see if they are in good condition and not damaged or frayed. Here are some common tips to troubleshoot security cameras like checking camera power/connections, rebooting camera, factory reset cameras, turn to their tech support. Don’t mount your outdoor security cameras on a metal surface or conductive surface, for which will generate electrical interference that impacts camera videos and images. Try using a block of wood in between if you have to. This entry was posted in Pro Tips & Fixes and tagged anti-IR glare, cctv camera protection, maintenance, theft prevention. What can be done about a person that deliberately shines a ‘red pen light’ or bright flashlight into your surveillance camera to purposely ‘knock out the surveillance system’? I’ve had that happen at least 3-5 times by my neighbor and the last time he did it, it knocked out the surveillance for 1 1/2 hours! I’m trying to find ‘lenses’ that can protect the Camera lens from direct light, so he can’t do that any more. So far the Police just say to ‘keep moving the cameras…’ but they all come with just so much ‘cord length’ so that only works so far. And the area I need to survey is where he’s doing all this from. I would buy multiple cameras and point them all in that direction, that way he can blank out one but can’t blank out the other 3 in different spots? Another alternative is use standard cameras or hide them, and or turn off the IR leds so no night vision, but then you install IR flood lights in different spots so night vision still works but he’ll be unable to stop that. Hope that helps. Looking for a system to cover my business. What prevents a theif from breaking in and stealing the recorder thus losing the recording of the crime? Hi KD, here are some excellent tips to prevent the recorders (NVR/DVR) from being stolen: /how-to-prevent-nvr-or-dvr-from-being-stolen/. For business monitoring, Reolink PoE camera system like RLK8-410B4 (/product/rlk8-410b4/) is popular with business owners thanks to its solid build and reliable quality. Great post.Thanks for sharing this article to us.It very useful to know about this.Keep posting. really looking for a way to keep the cameras under a roof of sorts while perched in trees, which already offer more protection than being in the open as 2 of mine are that have been mounted on fence posts. wanting there to be a sort of easy to mount box or cover. Reolink, have at making this for us!